Our country was built on people fighting for freedom and the freedom of generations to come. Every hour, every minute of every day, our service men and women are across the globe, putting their lives in danger for us. NewsCenter 1 would like to recognize those people and the people who advocate for them here at home. The Rapid City Common Council approved a resolution Monday night that was brought forward by Mayor Steve Allender that would designate Rapid City as a “Purple Heart City”. 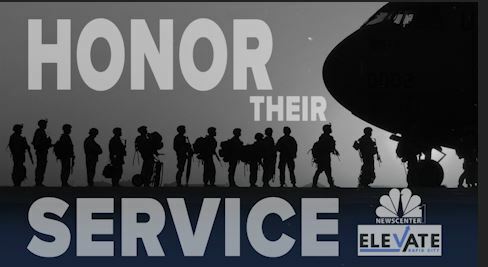 In this week’s edition of “Honor Their Service,” we take a look at what this means for our community. RAPID CITY, S.D. – The Rapid City Common Council approved a resolution Monday night that was brought forward by Mayor Steve Allender that would designate Rapid City as a Purple Heart City. “Rapid City and this area, we are a military community and I think it’s fitting to do everything we can to support the military and in our case the Ellsworth Air Force Base and the South Dakota National Guard Camp Rapid. 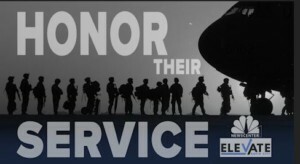 Support them and let them know that we are watching and we understand the sacrifice. We understand it a little bit more as time goes on. So the Purple Heart designation is not only supporting the military but more specifically supporting the members of the military who have been wounded in the course of their service and that’s important. There’s a sacrifice there that needs to be acknowledged,” said Rapid City Mayor Steve Allender. after stepping on an I-E-D back in 2010 while serving in Afghanistan. “You know some of us paid a cost doing our service to our country. And we’re proud to do it but yes it’s definitely a medal that’s earned. 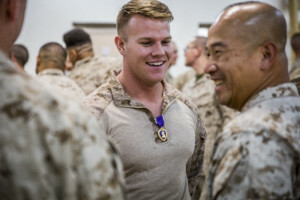 I think it’s really cool that the city is going to acknowledge it’s Purple Heart recipients and the members of this community that have received the Purple Heart,” said Swier. He adds that while it’s not something that every recipient likes to brag about…. 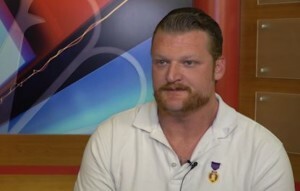 having the city recognize the Purple Heart for what it truly means, it’s a big deal. 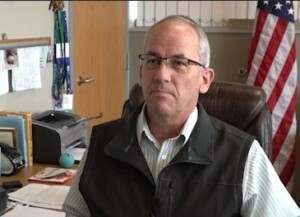 “This Purple Heart designation in my opinion, it may only be a sign placed somewhere downtown, it may only be a parking space but for those members those veterans who have been wounded in service, let this be a silent acknowledgement between the community and them that we’ve seen them and we understand what they’ve given to us,” saiad Mayor Allender.